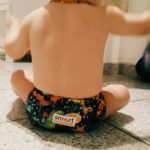 A couple of weeks ago, Smart Bottoms became available for the first time in Germany! 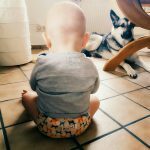 Michelle from Stoffywelt fell in love with this diaper made of high quality PUL and organic cotton during „Real Nappy Week 2016“. 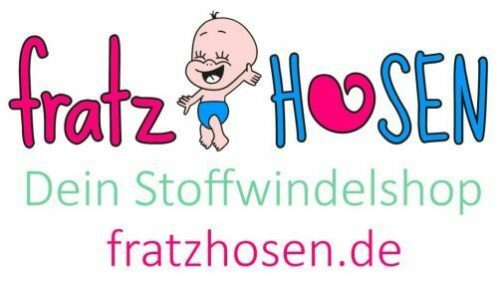 Recently she equipped Stoffwindelguru´s testlabs in Karlsruhe and Worms with a sample, so the diaper could be tested by two babies. This was outstandig, thank you! 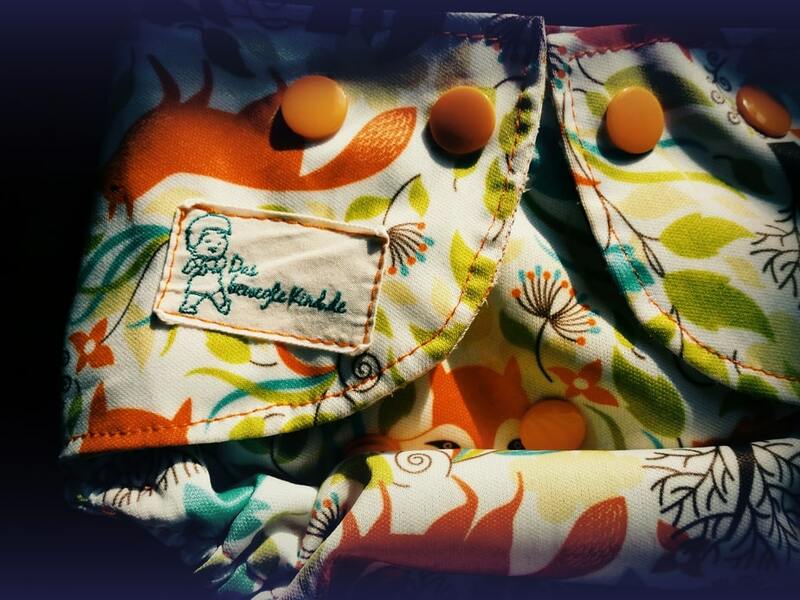 The special organic fabric inside the diaper fits perfectly to our philosophy. After her second daughter was born, Christy Malone informed herself about disposable diapers and the materials touching babies skin 24 hours a day. 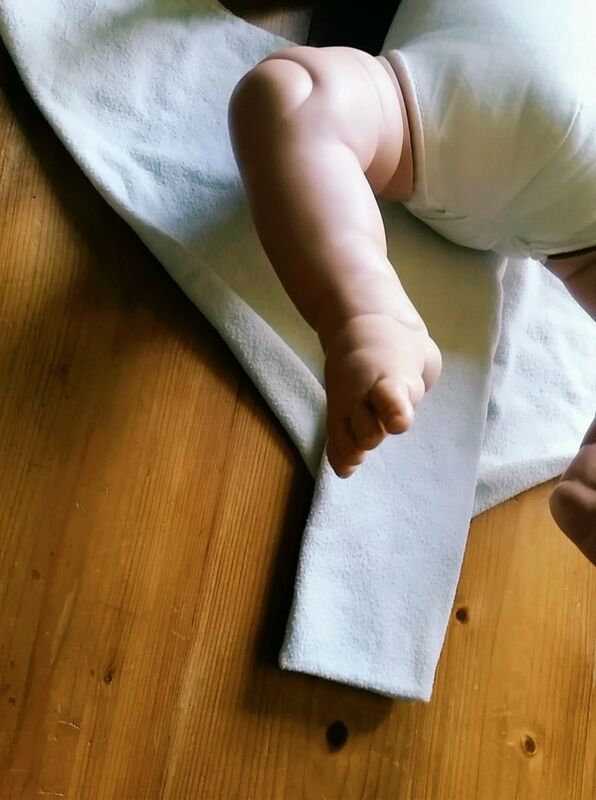 Shocked about her research results, there was no turning back: cloth diapers were the answer! 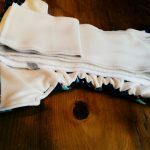 Unfortunately her daughter appeared to have massive problems with microfibre due to a polyester allergy (according to Christy 25-50% of babies are having this problem)! 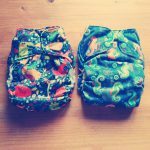 In search of a modern American cloth diaper company that used organic cotton, she realised that there was none. So together with her husband she began to create prototypes of organic „All-In-Ones“. In 2010 Christy started her business „Smart Bottoms“ in Michigan, USA and it quickly became a success. 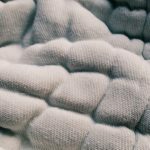 The interior lining of her AIO is completely made of organic cotton, which is not just organically manufactured but also without any chemical treatment until the production is finished. The special thing about Smart Bottoms: During the last production step the cotton is finished by using only boiling water. Christy thinks that no baby should be exposed to chemistry. 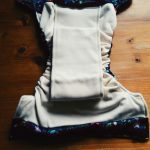 Meanwhile, Smart Bottoms has also developed the „Dream Diaper“, all-in-ones in size newborn, diaper covers (in „diaper check“ soon), wetbags, trainers, swim diapers and many more products. First impression: „Wow how soft!“. There is nearly nothing comparable to the feel of PUL and cotton. 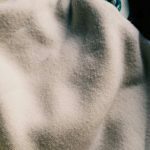 The fabric simply consists of these two components: PUL on the outside and 100% GOTS certified organic cotton on the inside. The organic cotton is cultivated in India and verified in the Netherlands. Later, the whole tailoring process takes place in the USA. 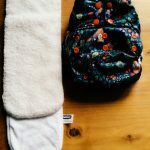 Compared to „Blueberry Organic“ the organic cotton of „Smart Bottoms“ is extremely soft and smooth (find a detailed comparison below). Even after many washes the cotton won’t loose its quality. 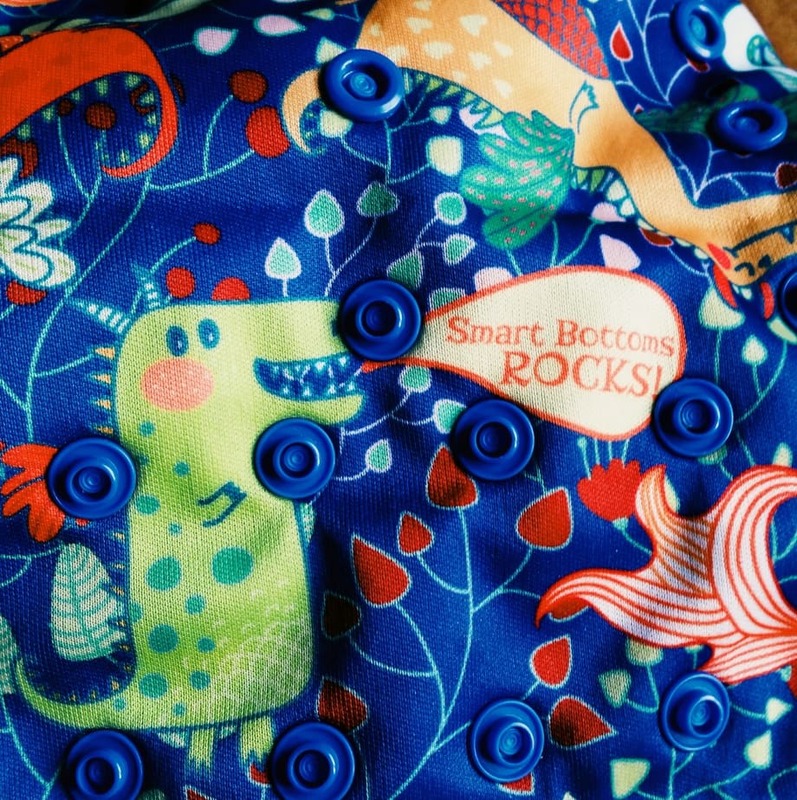 Please notice: It can take 6-8 washes (wash and dry warm) to fully prep the Smart Bottoms AIO. Of course we used the diaper before the prepping process was complete and realised, that the diaper reached its limits. By not using chemicals to strip the natural oils from their cotton, the diaper is without harsh chemicals. Great idea! Little amounts of chemicals or none at all residing in the fabric is what we would hope for every diaper. Regarding the PUL- fabric: This could be the highest quality PUL we´ve tested so far. Very soft, very robust: you can even put the diaper in the dryer. What caught our eye: it doesn’t have a pocket-function for „boosters“. 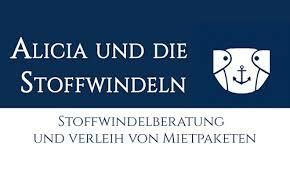 So you can´t insert the attached liner or an extra booster into a pocket opening. Pro: Its not difficult to handle the diaper when prepping it for use. Especially for beginners a relief. 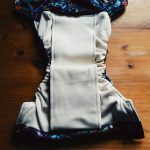 Con: If you want to add extra liners, you have to make sure that it fits perfectly, if you don´t want the booster to touch baby´s skin. Below on the left side: girls version. Below on the right side: boys version. The leg and back elastics are super soft and fit perfectly. The whole diaper clings very nicely and the PUL fabric is pleasantly soft. In order to prevent leaking, it is very important that the leg elastics are rolled in and no cotton is exposed. During our test phase, one baby had a leaking situation due to exposed cotton, while the second test baby had no problem at all. The position of the lower waist snap is quite low, so one baby had the upper snap closed thighter than the other. When worn, the diaper looks very pretty with gorgeous designs, and the trim fit doesn’t form a „bumblebee bum“. According to the manufacturer the AIO fits most babies 10-35 lbs. We can imagine that: the smallest possible setting is a bit smaller than the one of the Blueberry AIO. And with the biggest possible setting our 10 month old baby can easily grow into it. As already mentioned, prepping the diaper by washing it 6-8 times is necessary to get full absorbency. Too bad that there is no pocket opening though. To use this AIO with older babys, we recommend to add extra inserts beneath the flap. 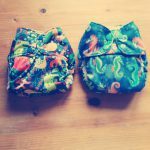 For example you can use a „Little Lamb Bamboo Insert“ or a „Thirsties Hemp Insert“ as boosters, both of which we love. Of course this is not so important for smaller babies aged 0-6 months. 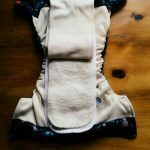 If your baby is fully breast fed, we recommend to add a textured fleecy liner to prevent liquid stools from leaking. When it comes to solid stool, the smooth surface of the inner fabric really is helpful, because the stool can easily be dropped off into the toilet. Due to the fact that we love the Blueberry AIO, the Smart Bottoms AIO had to compete with it. Size: The smallest setting of the Smart Bottoms is a bit smaller and the lower row snaps are a bit lower than Blueberry. With one of our test babies we had to stagger the snaps wider on the lower row when using the Smart Bottoms. Overall the Blueberry AIO fits a bit better (every baby has its individual size). Use: The Blueberry has a pocket-function to insert the attached liner or added booster. In addition it doesn´t need many pre-washes. After the first wash of a Blueberry, the inner organic cotton lining develops ripples, which helps contain the stool better. But, the organic cotton of the Smart Bottoms AIO is smoother and no chemical treatment is guaranteed. It‘s a bit easier to remove the stool into the toilet, plus it remains softer and feels thicker. Due to the high quality PUL, the Blueberry AIO still looks fantastic after testing it for many months. Unfortunately we don’t have a long term Smart Bottoms check yet, but we are pretty sure, that the results would be similar. Another difference and a pro for Smart Bottoms: There are 4 snap rows for size setting instead of the 3 snap rows of the Blueberry AIO. It‘s a neck-and-neck race between Smart Bottoms and Blueberry! The Smart Bottoms material is hard to beat. But both test teams agreed: The fit of the Blueberry AIO and the material of the Smart Bottoms AIO combined in one diaper would be our dream of the perfect AIO cloth diaper. The 3.1 is now one of our favorite AIO, we love to use them! 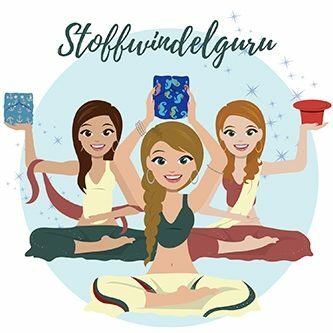 A huge „Thank you“ goes to Michelle from Stoffywelt. She spoiled us! 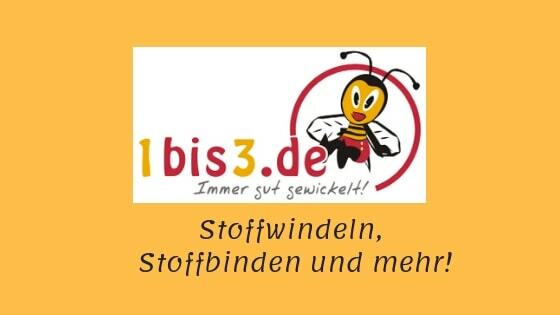 By the way: Smart Bottoms testing will be continued! Diaper Cover „Too-Smart“ is already on the test track.